Avendus Capital advises Tega Industries on its USD 35 Million equity raise from TA Associates. Tega Industries today concluded its round of equity raise from TA Associates. The Company has raised around USD 35 Mn from the PE investor for a minority stake. The proceeds of this fund raise will provide impetus to Tega’s inorganic growth plans and help them leverage TA Associates’ network as it goes about globalising its business. Mr. Madan Mohanka, Managing Director of Tega said, “With our recent acquisitions in Australia and Chile, we now have multiple engines of growth in place. Implementing the next phase of our 5 year growth plan, we have raised capital to fuel them”. Commenting on the deal, Mr. Mehul Mohanka, Executive Director of Tega said, “Acquisitions are imperative to our growth and we have partnered with TA to leverage its global network and relationships”. Headquartered in Kolkata, India, Tega Industries is a global provider of consumables for use in the mineral beneficiation, mining and bulk solids handling industries. The company offers a range of rubber, polyurethane and ceramic based lining products, as well as value-added consultancy services and solutions tailored to specific customer needs. 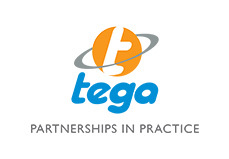 Tega has customers in 62 countries and physical presence in 14 countries. Founded in 1968, TA Associates is one of the largest and most experienced middle-market growth private equity firms. The firm has invested in over 400 companies and has raised more than $16 billion in capital. With offices in Boston, London, Menlo Park and Mumbai, TA Associates leads buyouts and minority recapitalizations of profitable growth companies in the technology, financial services, business services, healthcare and consumer industries. Avendus Capital is a leading financial services firm which provides customized solutions in the areas of financial advisory, equity capital markets, institutional broking, wealth management and alternative asset management. The firm relies on its extensive track record, in-depth domain understanding and knowledge of the economic and regulatory environment, to offer research based solutions to its clients that include institutional investors, corporates and high net worth families. Avendus Capital has consistently been ranked among the top-five corporate finance advisors in India and has emerged as the advisor of choice for cross-border M&A deals and has closed 35 cross-border transactions in the past 4 years. Headquartered in Mumbai, the firm has offices in New Delhi, Bangalore, New York and London.